Facilitation Plus is a professional services consulting firm specializing in leadership development, group facilitation, and facilitating change at both the individual and organizational levels. For over two decades Facilitation Plus founder Kelcy Benedict has been working with various industries such as health care and IT, in both the public and private sectors, facilitating change and building the foundation for people to become better leaders. Kelcy is a skilled professional with a complementary background including change management, facilitation, organizational design, training, operational management, and customer service. 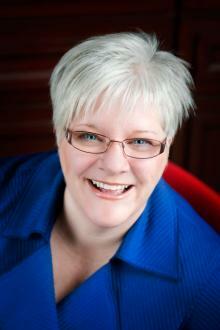 As a facilitator and consultant she is dynamic and inspiring. Kelcy has a keen understanding of human interaction, performance and change, which positions her well to work with clients on change initiatives and helping groups work more effectively together. Clients often highlight her natural ability to put people at ease and build trust. This, combined with her practical operational management experience and exceptional facilitation skills enables her to effectively engage others to work together. She develops practical solutions that directly link to an organization’s operational and business goals. Committed to the principles of adult learning she actively engages clients in the learning process. Kelcy’s continued education and professional experience combined bring fresh insight into all her assignments. Clients, peers, and professional colleagues seek Kelcy out as a coach and mentor. She quickly understands organizational issues and vision, and works with people to translate these into achievable strategies, objectives, and goals.